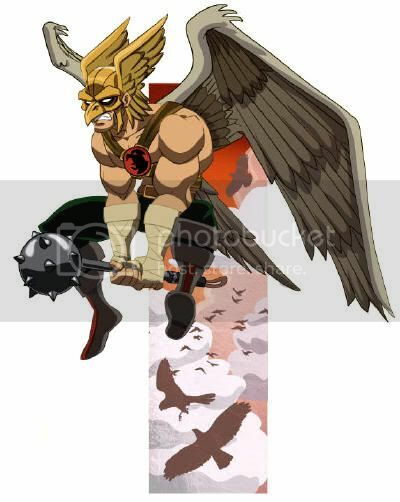 a) His telepathic communication with marine creatures was always inferior to Hawkman’s talks with birds. b) That in all his decades as a super-hero, he had never tried to hold a conversation with his finny friends. d) How his lack of microscopic vision prohibited his following the creature. e) That he would obviously need help on such a mundane case. The World’s Smallest Super-Hero continued to spout some of the Bronze Age’s Worst Monologue as he addressed the size-altering amorphous creature Aquaman had set him against. 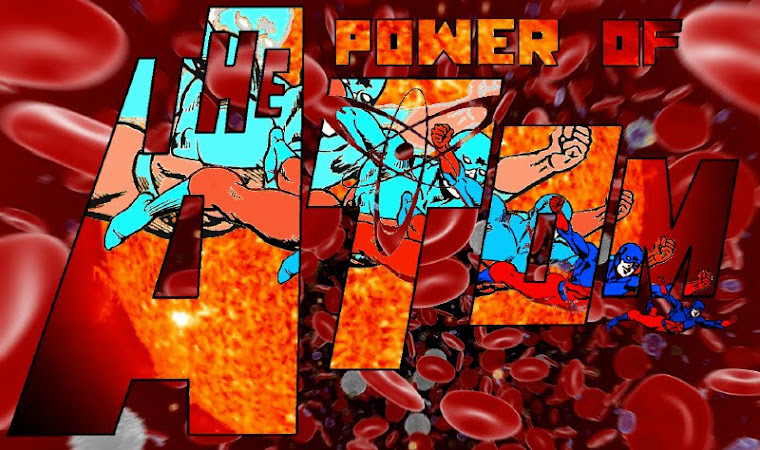 “It’ll have to fight somebody its own size-- and hopefully it’s superior in intelligence!” The Atom was “eaten” by the blob, which proved to be the faster size-shifter, but revealed itself while becoming large enough to be seen by Aquaman’s adequate eyesight. Worse, it was big enough to allow Aquaman a “bad vibrations” reference before he wet himself escaping the creature. “Swordfish, I need your help!” So did the Atom, who sorted out Aquaman’s confusion over what small creature within the blob might be trying to contact him by his super-heroic name. 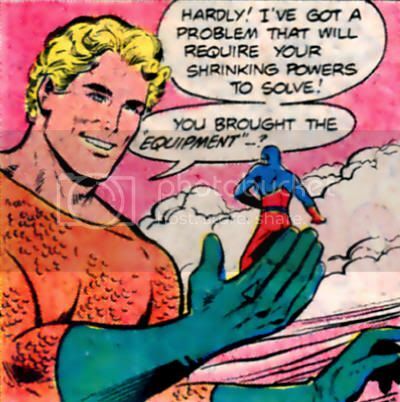 Yes, Bronze Age Aquaman was no slouch in the moron department. However, what he lacked in elementary deductive reasoning, he made up for with lines like, “Swordfish--surround the enemy--and jab--JAB--JAB!” I like to think his honeymoon also went something like that. “With enough stabs, the swordfish should numb the creature?” That method of contraception would explain the express conception of Aquababy. “Got to work faster! I’ve just lost some of my troops!” And you thought the rhythm method was flawed? Remember the Atom? Within the jab-o-sphere, trying to recall his junior high magic act to hopefully use this swordfish gangbang of an undocumented life form as a Freudian nightmare of an escape route. After “repeated sword-thrusts,” the Atom exited through an orifice and grew to adult size. Aquaman was all set to have “my finny friends finish the creature off,” which I think was a hit for Heart in the late ‘70s, but Atom protested. 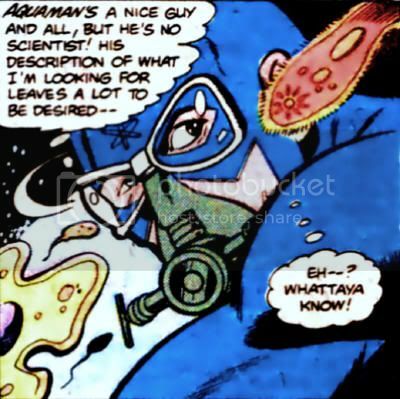 “All right… but you better have a good reason!” Atom explained the creature was like a “blowfish,” or as corrected by Aquaman, “a puffer!” It detected Aquaman’s and Atom’s electrical brain impulses, and reacted with fear by expanding rapidly. However, Ray felt it was harmless, and just wanted to change out of his wet clothes. I think I could use a shower myself. With Brainiac’s final play revealed, the Justice League – minus Superman – must find a way to stop this final threat to Earth. Can the newly empowered civilians from The Daily Planet building help? Where will Earth turn in this dark hour? 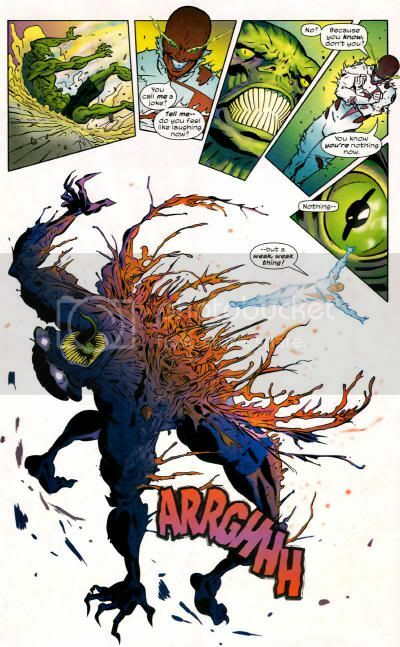 As Brainiac’s invading force prepares for combat, Batman must make a deadly decision that may put him at odds with the entire JLA. It’s a decision that could save the Earth, and the Dark Knight will stop at nothing – even fighting his allies – to guarantee success...but can anyone save him from himself? You know, it's inevitable that I'm going to read at least a trade's worth of this someday, and I'll just as surely regret it. Before he received his godlike powers, Captain Atom was a military man – an Air Force pilot. Now, he’s being recruited again to serve his country as only he can. 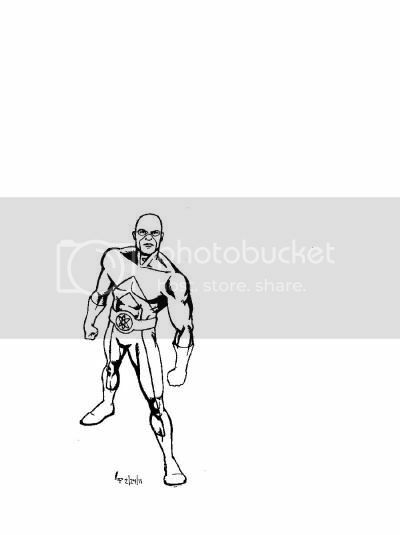 But will Captain Atom go along with his new role as a weapon of mass destruction? Grr. That's sounds a lot like the '80s incarnation, making me want to read this despite Krul. In the popular co-feature from ACTION COMICS #879-889, Captain Atom’s memory is falling apart right in the heat of battle! Can he get it together in time to face off again Major Disaster? "Check this out... the guy in the Damage costume is wearing THE Damage costume. Apparently he made the costume used for the photo cover... Afterwards, they mailed the costume back to him. That's what he's wearing in that photo. I believe he's also the same guy that cosplayed Indigo Lantern Atom last year. Thought you'd dig that." Word reached the Daily Planet about the battle in Washington, D.C., and Clark Kent was gone in a flash. Senator Helen McClellan demanded passage through the military barricade of her neighborhood, then called to Mac and Tate when she saw them in the distance. Tim Zanetti was tossed aflame in their general direction, so Mac threw himself on top of his family to defend them. Helen got a brief look at the Major before the H.I.V.E. abomination continued its assault. "You were supposed to be so tough. But you're nothing! Except a joke!" Tim was exhausted and seemed likely to be beaten to death. However, the scientists at Project Otherside detected sudden rapid mutation of Zanetti's form and mind. The Rifters had returned to their waterfall cave. Sebastian was agitated at this first ever rejection of the gift of kinship, and even the Herdsman was concerned that Zanetti had proven so unique. The cigarette smoking woman assured them that Tim's resistance wouldn't last. "It can't. Trust me, I know. Sooner or later, the Major will face his destiny." The Major caught his opponent's massive hand in mid-punch, then hit him with an energy pulse. Green energy bled from the Major's eyes, and a wicked death's head grin gripped his lips. "You call me a joke? Tell me-- do you feel like laughing now? No? Because you know, don't you? You know you're nothing now. Nothing-- but a weak, weak thing!" The Major boiled and rent the creature's flesh, then tore out his heart. "You were but a small sacrifice." Mac approached the Major, who asked if he was also a weak thing. "I dunno. Some days-- maybe. What did they do to you, pal? You've got to fight this, Tim. They want you on their side... and you can't let that happen... because this is not you." Realizing what he's done, Tim fled through a portal. " --HELP ME! I won't become this! I WON'T BE LIKE THEM!" The Major eradicated a forested section of the Adirondacks trying to wrestle his urges before realizing he had a tag-along. "Groovy Guy--! You want to help me? That's funny. Last time we met, you said I was a danger. Buddy, you were righter than you know." Superman realized that an innocent family had paid the price for his ignoring Tim's warnings, and wanted to do what he could for Zanetti. Tim felt he had been infected with a virus of the mind urging him to kill lesser beings, and wondered if other "guys in spandex go through stuff like this?" The green flames of Tim's eyes flared up, and the grin returned. "It's burning through me like fire, G.G. I read up about you. They say you're invulnerable. That means I can't hurt you, right?" Superman admitted that was the theory, which was good enough for the Major, who blasted the Man of Steel miles backward. Sebastian hissed a "yes" as the urge raged in the Major, who pressed his advantage. Tim said aloud, "He's holding back--! He doesn't get it! YOU CAN'T! Or-- I swear--I will kill you!" 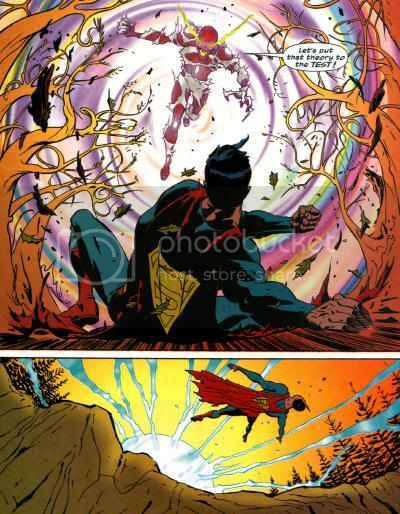 Superman didn't think so, and Heat Vision backed up his argument. Sebastian's bliss returned to a hiss. Tim's suit was destroyed, and he was bleeding blue, but he had been returned to his senses. Superman didn't want to hurt the Major. "Y-you had to, G.G. I-- I had to fight... something I couldn't kill. It couldn't deal with that. It's gone--! Whatever Sebastian put in my mind-- is gone. T-They didn't get me-- they won't get me! I-- I owe y-you... more than I can say." The cavalry from Project Otherside arrived as Tim collapsed into Superman's arms. Kal-El recognized that Tim was willing to sacrifice himself rather than hurt another. "I misjudged him," he told Dr. Campbell Chambers. "He's a hero." She agreed. "I'm sorry it took you this long to realize it. Now it may be too late." Talia al Ghul couldn't believe her genetically altered soldier was destroyed in a matter of minutes. Lex Luthor tried to see the upside of the lost agent, thanks to the information gathered at the cost of his life. "Data we will need for the coming crisis." The embryonic soldiers could also be adjusted to provide a greater challenge. Tate realized his meeting the metahumasn twice coincidentally on two continents didn't make sense, and with a pregnant glance at Mac, Helen said, "I--I... don't know, Tate. Maybe it does." "Ally" was by Bob Harras, Marcos Martin and Alvaro Lopez. This issue strengthened Tim Zanetti's character, but it was still ultimately another big fight issue in a series whose life grows ever shorter. 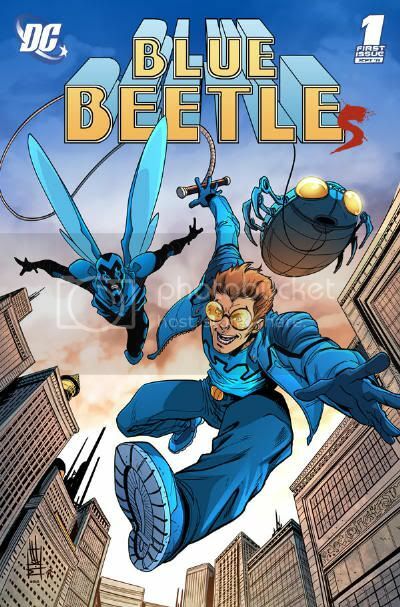 I think this would have made a fantastic eight issue mini-series. The same creative team could have handled the entire epic, rather than losing Marcos Martin for two issues after having so lovingly illustrated so much filler material. 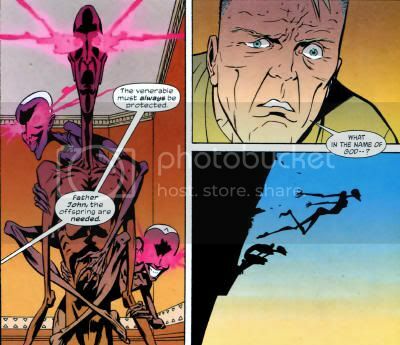 For Jon Morris' brainchild of a blog full of other Dc Comics "New 52," Mike Norton dug into his favorite DC character and the subject of a pitch long buried in continuity convolution. Read more about Norton and his pitch here. Talia al Ghul, leader of Kobra, looked over massive tubes containing her few surviving faithful volunteers in a H.I.V.E. experiment. 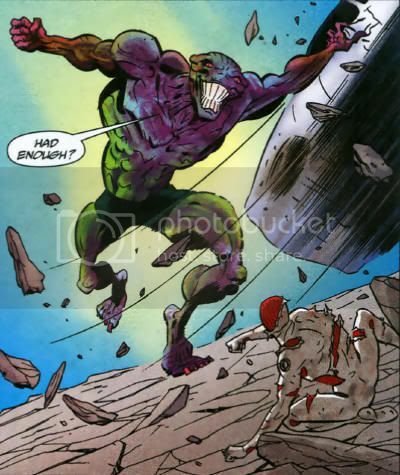 Lex Luthor alerted her that the energy signature of the individual Kobra faced in South Africa had resurfaced in Washington, D.C. The adversaries traded unpleasantries before Lex asked, "Do I need to remind you that we need this man if our plan is to have any chance of success?" Talia agreed to spare one of her subjects, even though she was loathe to place such a committed believer in the hands of a scoundrel. "I serve at the pleasure of the mistress of Kobra. Long may her glory endure." Major Timothy Zanetti was kneeling on the floor of General Mac McClellan's home office with the reptilian Rifter Sebastian's claws digging into his brain. The Herdsman felt Tim was receiving a "joyous gift." Tim remembered being abandoned at Project Otherside by Professor Ward. "I'm sorry, Major. This is the only way." The flesh tore away from Tim, until it was followed by the twisted wreckage of his body through the breach. Zanetti chose to reject the telepath, grabbing Sebastian by the wrists and freeing his mind. "I DON'T WANT TO REMEMBER!" Sebastian was thrown out the window and crushed some preppie's daddy's Beemer on the street outside. The Herdsman remained impressed by the young kinsman, and thought he was perhaps too much for the old master Sebastian, "still too new to this world." The Herdsman felt the venerable one must always be protected, and asked Father John to loose the offspring. Mac yelled at the cigarette smoking woman "You've been working for the Rifters all these years? You made some sort of deal with them, didn't you? My God-- we trusted you! I sacrificed my best friend because of you!" She asked to be spared the melodramatics, and backhanded the General across the room. The Herdsman wanted to use the General for his own purposes, but was denied by the woman as an old friend who still had more to contribute as is. 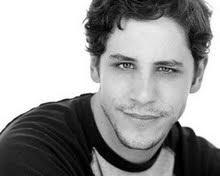 The so-called "Tobias Underwood" was afraid and wanted to go home, but the woman told Ward that this experience would serve as research for his book. Major Zanetti continued to dominate Sebastian, so the Herdsman approached to set the former Meyers children against his young kinsman. Tim couldn't bring himself to fight back against the pair, who battered and slashed him. The older sister found the assault on the elder Sebastian an abomination. "Have we not suffered enough than to see our ways desecrated?" The younger brother wanted to impress the Herdsman, and elbowed his sister violently for his own turn at Zanetti. The sister thought it an easy victory, with Tim deluded that they were still "the weak things," and turned her attention toward innocent bystanders. "Ah! This is a pretty thing." With a touch, one woman's arm melted horrifically. Tim drew both offspring's attention back on himself, taking punishing injury without dealing any, "Because... you're children... And I don't hurt children..."
At Project Otherside in Nevada, Captain Yoshiba found Dr. Campbell Chambers unconscious on the floor of Zanetti's cell. Her husband Paul rushed to check on her, while Yoshiba immediately suspected her complicity. Before interrogation could commence, an alert about the battle in Washington sent the team scrambling. Tate was at a "Starbud's" near the battle, and ran out to investigate. Tim recognized the young man from Africa, both found a second meeting crazy, and Tim warned Tate to keep back. His bio-seal was torn, and Tim bled a blue acidic plasma. Tate gave Tim a pep talk about believing Tim to be "one of the good guys," and his need to put his concerns about the transformed children aside, since his death would lead to many more at their hands. "I know. God help me." The cigarette smoking woman continued verbally fencing with Mac, until she realized Kobra had "taken the bait" in joining the fight late. "Rifters believe fervently in tests, General. Those of the body and of the soul. And many, like this one, simply lead to the next." She had Father John summon the offspring with a high pitched call. The Herdsman wanted to see to Sebastian's wish for the young kinsman's death, but she felt the seeds planted today needed time to bear fruit. Everyone entered a wormhole, including Tobias Underwood, who wondered for whom the continued existence of Tim Zanetti meant a "happy ending" to his book. Mac rushed to see if Tate was okay. "He's your son, Mac? Geez-- a guy goes into stasis for a couple of decades and look what happens. He's a good kid, Mac-- you oughta be proud." Just then, a H.I.V.E. airship landed, and a towering purple reptilian man-beast with fangs and claws emerged. 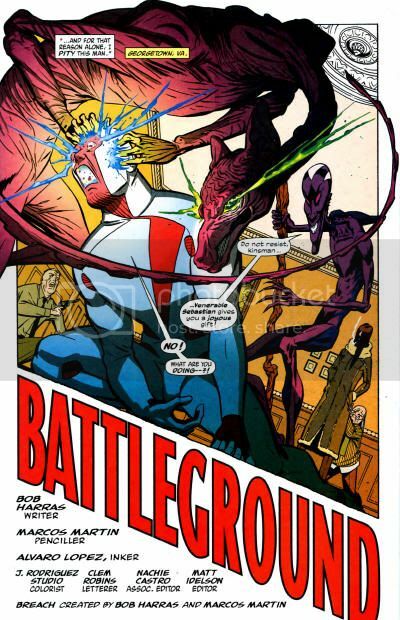 "Battleground" was by Bob Harras, Marcos Martin and Alvaro Lopez. Progress continues by centimeters rather than inches, much less feet. The book looks great and reads well, but the last thing needed was a tenuous "Villains United Tie-In" and another of the increasingly tedious Rifter "test and retreat" maneuvers.